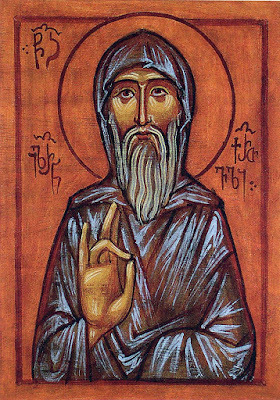 Blessed Hilarion founded a convent with the resources he had inherited, donated lands to the monastic community, and established its rules. Then he gathered seventy-six worthy monk-ascetics and founded a monastery for men. He distributed his remaining property to the poor and disabled. After the long journey, Hilarion and his companions finally reached Mount Olympus in Asia Minor and settled in a small, forsaken church. During the evening services on Cheesefare Saturday, the lamplighter from the Monastery of Saint Ioannikios the Great came to the church to light an icon lamp, and seeing that several people had settled there, he brought them some food. Saint Hilarion spent five years on Mount Olympus, then journeyed again to Constantinople, to venerate the Life-giving Cross of our Lord. From there he traveled to Rome to venerate the graves of the holy Apostles Peter and Paul. On the way to Rome his prayers healed a paralyzed man. After spending two years in Rome, Saint Hilarion set off again for Constantinople. On the way, in the city of Thessalonica, the blessed Hilarion stopped for a rest at the home of the prefect. When he arrived, a servant woman was carrying a paralyzed fourteen-year-old boy out of the house, and she laid him in the sun. The saint asked the woman for water, and when she had gone to bring it, he blessed the child with the sign of the Cross and healed him. Immediately the boy ran to his mother, and Saint Hilarion quickly departed from that place. 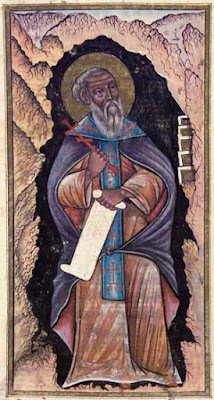 The prefect and the archbishop of Thessalonica informed the Roman emperor Basil the Macedonian (867-886) about the miracles that had occurred at the holy father’s grave. The emperor in turn informed the monks who came to him from Mt. Olympus, among whom was the elder who once had tried to chase Saint Hilarion out of the church. Emperor Basil became intrigued with Saint Hilarion’s disciples and fellow countrymen through the stories of Hilarion’s miracles. 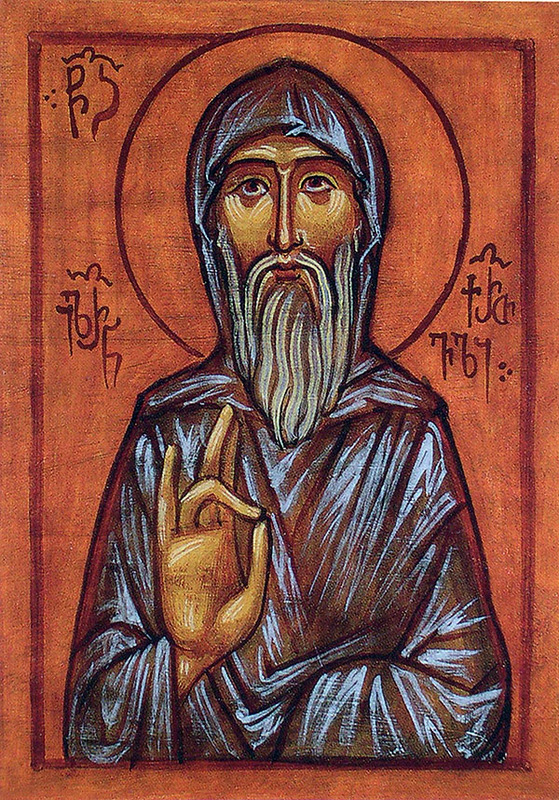 Saint Hilarion’s three disciples were presented to him, and the emperor was so struck by their holiness that he sent them to the patriarch of Constantinople to receive his blessing. Recognizing immediately that the three elders were filled with divine favor, the patriarch advised the emperor to confer great honors upon them.